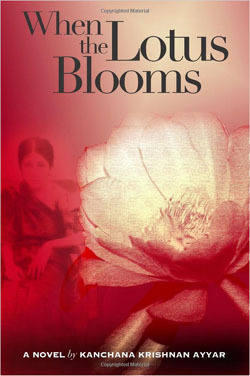 The inspiration behind the charactersFrom East Bengal to Tamil Nadu, ‘When the Lotus Blooms’ captures the mood and ethos of the rich landscape and diversity of India, while highlighting the universal and timeless circumstances of women and their struggle to seek happiness in a patriarchal world. The novel follows the arc of two Brahmin families in 1930s British Colonial India. It is the journey of two child brides, Rajam and Dharmu, who attempt to fulfill their destiny despite the shackles of tradition, duty, and customs of a complex society. Tormented by a domineering mother-in-law, Rajam battles with her inability to conceive, and Dharmu struggles with the loneliness and strain of adapting to her aloof husband’s westernized lifestyle. 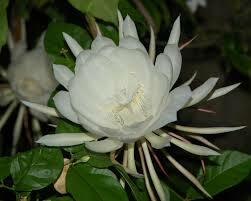 The blooming of the lotus has a special significance to both families. The Lotus on the front cover of “When the Lotus Blooms” is not your regular lotus, but the unique “Brahmakamalam” or Star of Bethlehem. I first saw this flower in my mother’s home in Bangalore and I was captivated by its beauty. Because of its rare blooming, I had no choice but to use it in the book.